You saw The Secret, understand the Law of Attraction (LoA) and want to go one step further. My review of Joe Vitale's practitioner certification course can help you to decide if this is a program you want to get yourself on and learn to not only make the best use of this amazing law, but to teach others to use it as well. I'm quite sure you're interested to discover what this program is all about and how can it be of use to you. Is that right? Well, in a nutshell it teaches you how to bring this wondrous message of attracting the life you want (that you are now absolutely in love with) and deliver it to a wider audience as a fully certified trainer or coach. Let's take a look at what it entails and how it can be a great asset to you in your life. 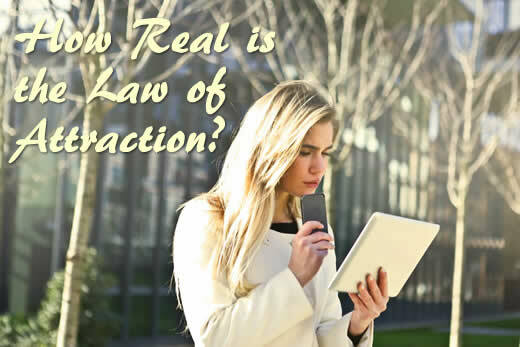 What is the Law of Attraction Practitioner Certification? 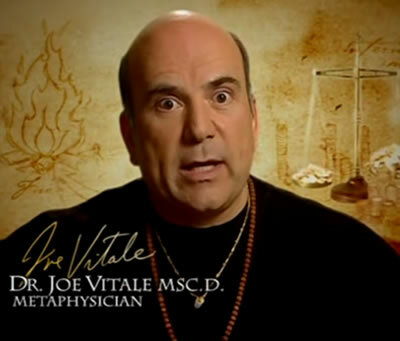 Dr. Joe Vitale, featured in the movie: "The Secret"
...you can learn how to teach others the many benefits of understanding and using this incredible yet very real edict in their lives. It is presented in a series of five digital text books that you can download to your computer, laptop or tablet and read at your own pace. In fact this coaching course can be completed in as little as three weeks or at amore leisurely pace over a whole year if necessary. That means you have complete freedom to take the course at your own pace, in your own time and when you decide to. You will be coached in the full definition, concept and practical application of this Law by two of the most eminent teachers in the field through their digital training manuals. You will literally learn how this incredible law really works in our lives and how to harness its power to make massive improvements in your own life and the lives of others you choose to share your new-found knowledge with. Additionally, you will learn how to effortlessly attract all wealth to you while teaching others to achieve the same. You will also learn about the unconscious obstacles we place in the way of wealth coming to us and how to bypass those obstacles to create a clear and unobstructed path that wealth can follow on its way into our lives. The culmination of the course will see you being certified by the prestigious "Global Sciences Foundation." 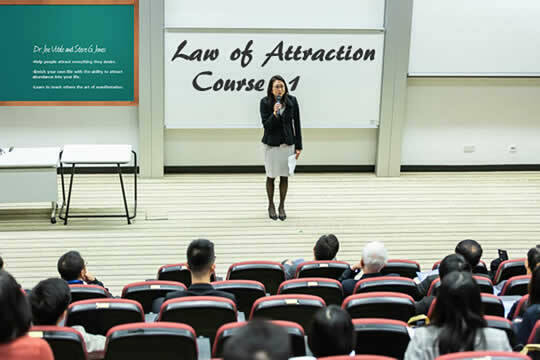 This certification is accepted worldwide and enables you to teach and practice the mechanics, concepts and precepts that are involved in the Law of Attraction as a qualified coach, instructor and mentor. You will also receive a certificate via email that you can print out yourself and then frame and display in your office or home. The certificate will contain your name, title (which is "Certified Law of Attraction Practitioner") and certification number. Enrolling is easy. All you need to do is click on the prominent link below to navigate to the official training website where you will find an enrol button. Clicking that will take you to the payment page where you can enter your credit card details and pay the one-time enrolment fee of just $47. PS: This is an excellent training course for introducing people of all levels and from all walks of life to this amazing facet of life which has remained one of the best kept secrets to remain in plain sight of modern times. If you are truly interested in knowing more about this Law and using it to vastly improve your life, then you will really want to get started on this course as soon as you can! Once payment has been accepted, you will be presented with a download link which you need to use to download the digital manuals onto your computer. Upon receipt of your manuals, you can get started right away. The manuals come in pdf format for easy reading and fast download. You will need a pdf reader, but you'll find most modern computers and laptops come with Adobe reader pre-installed ready to use. How Real Is This Law? If you've ever wondered about the realistic effectiveness of this concept of mentally activated attractive force, the only absolute way of knowing for sure for yourself is to try it. The problem most people have when they think about trying this for themselves is they expect more than it can provide. Easily the vast majority of people who watched The Secret saw the amazing promises that the program made but didn't think past the face value of what they were seeing. Most saw that if you could visualize something you wanted in your mind, then you'd get it in the real world without any other actions. Did you think that too? If you did, don't worry because you are not alone. It is very common to be told you can have some virtually for nothing and believe it can happen that way. Of course, when you tried it and nothing happened, you gave up believing that it was just another form of snake oil! But don't lose heart so fast. You weren't doing anything wrong in trying to get what you wanted by visualizing it. You just didn't understand the full process that goes on when you invoke the Law for attracting your own good into your life. There is a lot more to truly understanding and applying this law than is told in the movie or book. It takes more study and a great deal of repetitive study to finally get this concept. It's not enough to "know" it. You have to "understand" it. Understanding takes much more work than simply knowing because anyone can read a passage in a book and memorize it word for word and think that because they learned it and can repeat it, they've got it. But that's not necessarily so. Gaining a really deep and meaningful understanding of a concept as huge as this attractive law can take a great deal of study, repetition and persistence before it really sinks in. This course put together by motivational speaker and inspirational life laws practitioner Joe Vitale will help you to gain the true understanding part of the equation that you need to have before you can really use this law to your advantage. If you're serious about moving your life forward in great leaps and bounds and having the life you choose to have rather than one that has been chosen for you, then you should get this course and start studying it right now. From November 2015, the program has been updated and improved and a new format has been released for purchase. Throughout the year, Dr Joe Vitale and Dr Steve Jones have been busy making the changes that they believe most people want to see and learn from the course. What is this exciting new development? Steve and Joe got together and decided that one of the biggest "attractions" of the Law itself is the way it can be harnessed to improve a person's financial situation and generate wealth. Most importantly, it is vital to understand how this can be done without violating other natural laws and bring benefits to all involved without encroaching on the rights of others. With financial security in our civilization, a person can lead a more fulfilling and enjoyable lifestyle without the fear that lack of money brings to so many. By understanding how this can be achieved by using this law in the way it is meant to be used, your life can be fulfilling, wonderful and complete. To bring this course to people that want this information as well as all the other benefits that come from a fuller and comprehensive knowledge and understanding of the process, a new course comes with more information and emphasis on how to bring financial stability and abundance into your life. It was initially released to supersede the popular basic practitioner certification training course. But it seems people like and want the original product, which has been retained and is available as always through the promotional link above. "Are you serious about getting this program, learning all it has to teach and then moving forward in your life to take the message to a wider audience, as would be your right?" Be grateful for having the chance to own this valuable information and for the chance it gives you to prove yourself by taking and passing the exam to gain your certificate. It is your ticket to become a trainer and coach in these life laws giving you the opportunity to pass on your knowledge and understanding to others. An attitude of gratitude is one of the most powerful emotional states you can be in to empower this law in your life and seize the opportunities that await you! If on the other hand you're just flippantly considering getting it then asking for a refund (maybe you don't have the desire or motivation to learn from it and take it forward), my advice is DO NOT BUY IT to begin with! Tire kickers will NEVER benefit from this priceless information. Neither will those that abuse the refund policy to get it then get a refund and not pay. Why? There is an energy frequency to "free" or "cheap" which attracts itself to someone in that same frequency of vibration who will only attract more of the same. To truly benefit from this product, be prepared to pay in full and be happy and grateful that you made the right choice. What you're doing by paying in full is investing in yourself by investing in the course. It's an investment that will pay off in spades over the coming years because you made a sound, positive decision to do the right thing for yourself! We place a much greater value on something we have paid the price to obtain. On the other hand, we devalue anything that is gotten for free or buying, getting a refund and keeping the product which is basically theft. Be honest and learn to get into the kind of positive vibration that will attract to you more things to be positive about. If you want this product, cheerfully pay for it and reap what you have sown by receiving full value for your purchase and take it forward to help others and benefit yourself in the process. This is how the Law works. Get it working in your life the right way! The author is an affiliate of Joe Vitale's LoA program featured in this article and receives commission from sales originating from advertisements and direct links to the program found on this page.